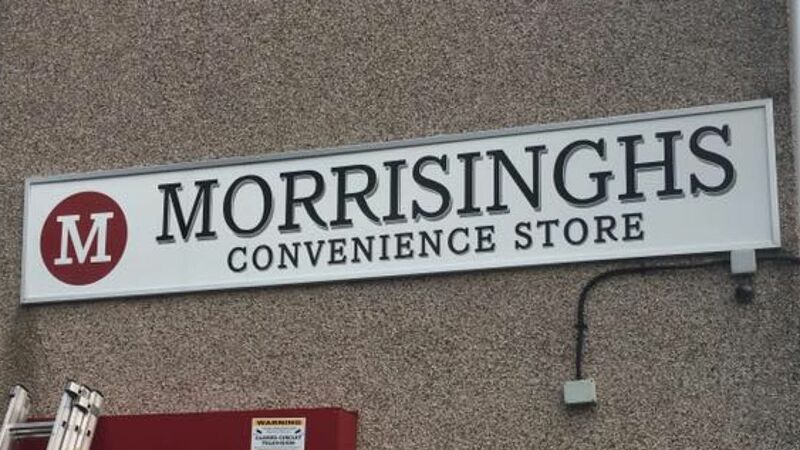 A convenience store called Singhsbury's has changed its name after being threatened with legal action... to Morrisinghs. Sainsbury's had accused Jel Singh Nagra of copyright infringement in 2012, with the retail giant threatening to take the 42-year-old to court. Although his signs were speedily taken down, locals in the West Allotment area of North Tyneside continued to refer to the shop as "Singhsbury's" nonetheless. After nearly five years without a sign, the businessman spotted an opportunity to rebrand when the Post Office next door shut down - allowing him to expand. 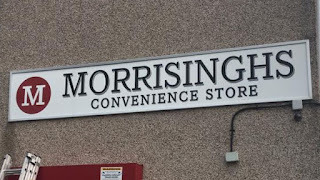 With his new Morrisinghs sign proudly in place, Mr Nagra told Sky News: "We recently did a shop refit and I thought now is the time to do it. I had the name in my head for quite a while. "There has been some negative feedback on social media, but it is a bit of fun and banter. We're British. This is us. We've always had this sense of humour. "A lot of the customers are saying it's a funny name. It's a pun, really." Mr Nagra said he was worried about what is in store from Morrisons, and admitted he was expecting another letter from a "heavy handed" legal team. "Mr Nagra and his customers obviously have good taste so we wish him well," a Morrisons spokesman said. A Sainsbury's spokesperson told Sky News: "We were grateful to Mr Nagra for removing the sign."